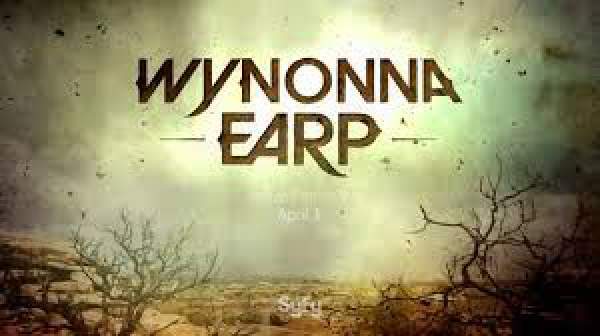 Syfy has not yet given any confirmation of a 2nd installment, but given the end of season1 and the public outcry, it is assured that the season2 would make it to TV. The has quite the potential to run for a few seasons. In the season 1 finale, Wynnona accepted the chair as the heir of the Peacemaker. Most interesting thing to see in the installment two would be how Waverly’s new demonic personality would affect Wynonna. Waverly touched something like a puddle of black goo and got possessed by something that is yet to be revealed. She pulled out a gun as lights go off. Next, we hear a gunshot. That is precisely where the episode ended. So, one can freely say that there is much to be revealed. The show is one amongst a lot of fantasy fiction shows but has got a sheer amount of audience’s attraction. The characters are relatable and subtly bring up issues like gender identity and male chauvinism. Many fans have even drawn parallels of the show to “Buffy- The Vampire Slayer”. Some fan theories about a crossover between these shows have made the producers think about it, and even they have hinted at such a possibility. But this thing seems too far-fetched to expect that the crossover takes place in the second season. But I cannot say anything for sure as the producer seemed quite excited about the prospect of Buffy returning to the screen, we may as well see her in installment 2. Other than that, we might see some development in the Doc Holliday-Wynonna-Xavier Dolls love triangle. Doc and Dolls spent most of the installment trying to woo Wynonna, but in the finale, they were just in the beast mode and were complimenting each other. They seemed friendly. So, we could expect more of them in the next season. There is also the matter with Dolls. There is something funny about him for sure. We would also want to know what is it about his eyes. Syfy follows the trend of taking a year’s break between seasons. So, we could expect them to be late to this show too. UPDATE: Unlike the first installment, it has been confirmed that the show’s second installment will premiere on June 9, 2017, on SyFy. Stay tuned to The Reporter Times for latest TV series news and updates. Don’t forget to share.